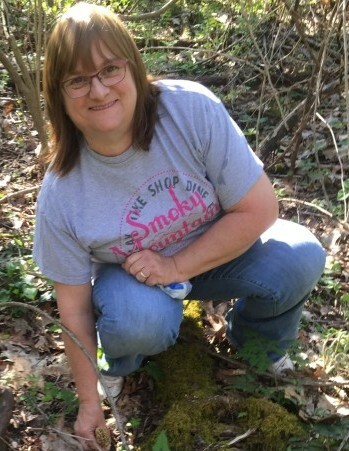 Betty J. Graves, 53, of McArthur, passed away on Tuesday, March 19, 2019, at her residence. She was born on November 20, 1965, in Nelsonville, Ohio, daughter of Leonard Perkins, Sr. and the late Helen (McClaskey) Perkins. Betty was a spirited individual who enjoyed dancing, singing, cooking, and crafts of all kinds. She had a wonderful sense of humor and loved to scare or play pranks on others. She was a member of the Allensville Church of Christ and a former member of the Order of the Eastern Star, Sereno Chapter #128 in McArthur. While Betty enjoyed many things her favorite past time was just being with her family. She is survived by her loving family: husband, Dale; son, Thomas Graves; daughters, Kayla Graves, and Amanda (Tony) Saunders; grandson, Kolton; a brother, Leonard, Jr.; sisters, Debi, Teresa, Sandy, and Brenda; as well as several nieces and nephews. One of the most honorable traits Betty possessed was her ability to place others’ needs before her own. Even while battling her own illness, she was always ready and willing to help anyone in need. To this end, it was her wish to participate in one final act of selflessness and love by donating her body to the Ohio State University School Medicine in hopes of helping students and physicians learn more about the human body and facilitate cures for various diseases. No services will be held at this time. The family wishes to express their sincere and heartfelt “thanks” to the community of friends and neighbors; Adena Hospice and other caregivers for the help, care, and love that was shared during this most difficult time. Please visit www.rmwilliamsfuneralservice.com to leave a message of condolence, comfort, or encouragement to the family. R.M. Williams Funeral Service, Wellston, is honored to care for Betty and her family.